Reuters – Fighting between the Syrian arm of al Qaeda and Western-backed rebels in northern Syria spread from Aleppo province into neighboring Idlib on Friday, the rebel group and an organization monitoring the civil war said. Clashes began on Thursday when the al Qaeda Syria wing, the Nusra Front, seized positions from the Hazzm movement west of Aleppo, threatening one of the few remaining pockets of the non-jihadist insurgency. A Hazzm official said by telephone clashes had spread to Idlib and that his group had retaken some areas previously controlled by Nusra. “There is now fighting in Idlib, in the Jabal al-Zawiya area,” he said. He said in Aleppo province the two groups were also fighting in Atarib, a town 20 km (12 miles) from the Turkish border. The Syrian Observatory for Human Rights said heavy fighting overnight focused on the Regiment 46 base in western Aleppo and overlapping areas between Aleppo and Idlib province, where the Nusra Front pushed out rebels from many areas in October. The Observatory, which monitors the war, said Hazzm had captured some small checkpoints in Idlib. The Nusra Front said it was forced to act after Hazzm detained two of its fighters and captured its weapons and offices. It said its forces had captured the Sheikh Suleiman base from Hazzm, about 25km west of Aleppo, on Thursday. “It’s probably most accurate to view this as the latest instance of Nusra efforts to expand their areas of dominance in Idlib and Aleppo at the expense of Western-backed factions, which they are gradually seeking to eliminate from the north,” said Noah Bonsey, senior analyst on Syria with International Crisis Group. The Syrian Islamist militant Ahrar al-Sham, which has worked with both groups, called for an end to the clashes and said the disagreement should be settled in an independent sharia court. 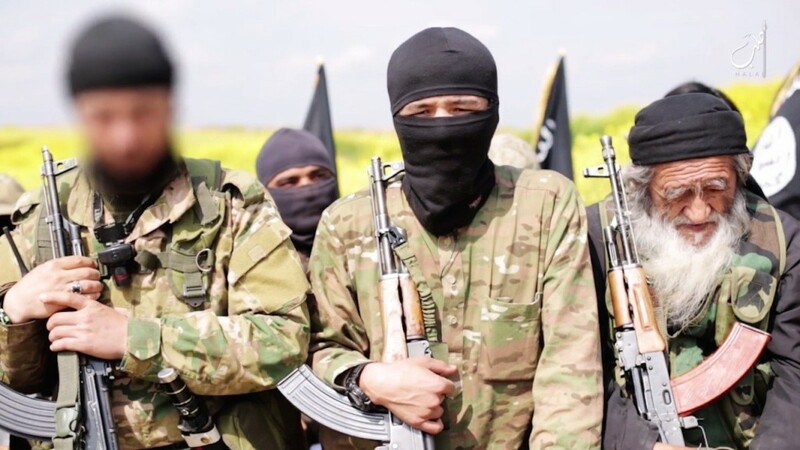 “We are ready to bring back the rights that our brothers in Nusra claimed (were taken) by Hazzm,” the statement, posted on the group’s Twitter account, said. Both Hazzm — part of the Free Syria Army collection of mainstream rebel groups — and Nusra fight the government. The Observatory said Nusra and other Islamist militants also fought the Syrian army in the al-Arbaeen mountain area of western Idlib on Friday. Syrian state television said the Syrian army repelled what it said were several terrorist attacks in the area. Hazzm has received what it describes as small amounts of military aid from foreign states opposed to Assad, including U.S.-made anti-tank missiles. But it has lost ground to better armed and financed jihadists. The weakness of the mainstream Syrian opposition has complicated diplomatic efforts to end the conflict that has killed around 200,000 people.